Recently, my husband was away for work. He was gone the whole week and some things that I get used to doing are really tricky when he is away. One such things is that I rely on him picking up grocery items on the way home from work as I remember that I don’t have them. Like bread. 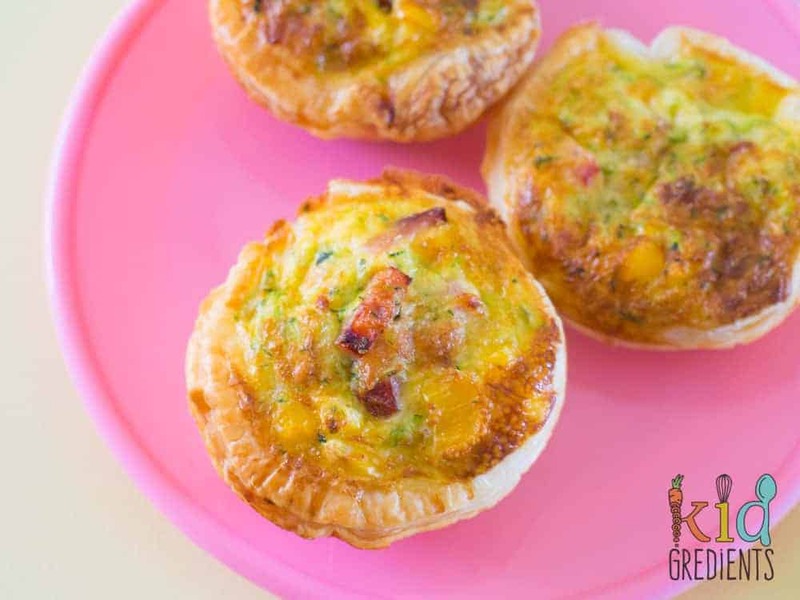 That’s how these lunchbox bacon and veggie quiches came about- necessity after I ran out of bread, wraps and basically anything for lunches! Luckily I remembered that there was puff pastry in the freezer. Seriously, it pays to keep stuff in the freezer! I got two sheets out and they were ready to use in the time it took to preheat the oven. Mixing the ingredients and prepping them is super easy and quick too. I’m pretty lucky that my kids are versatile and will try something new at the drop of the hat. 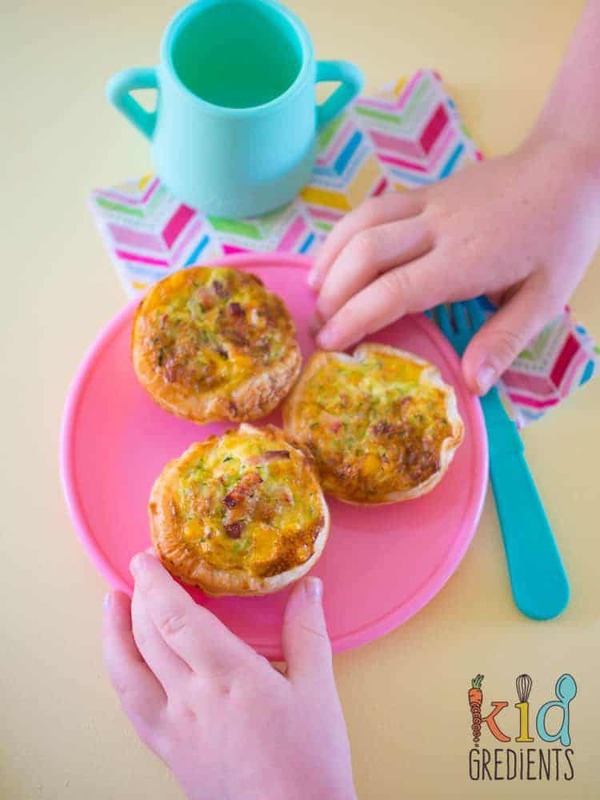 It does help that they know and love these teeny tiny quiches and are fans of all things quiche. 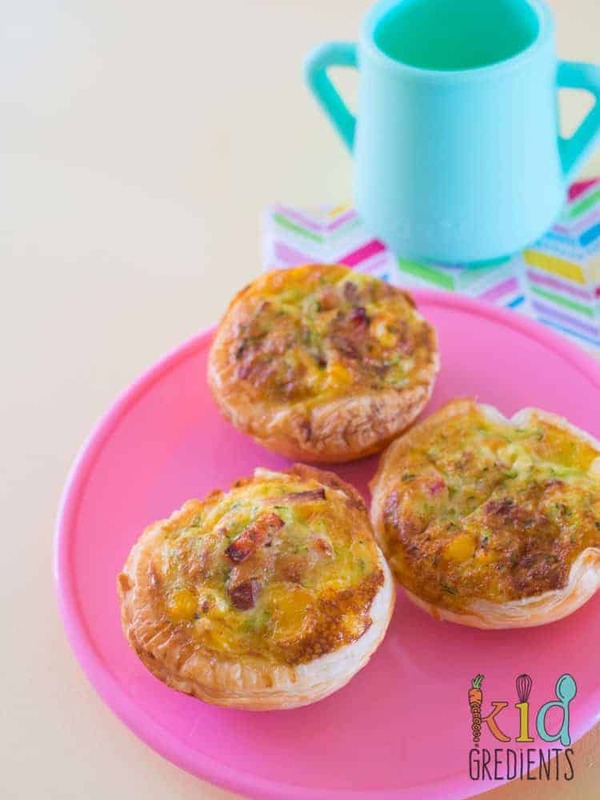 In fact, these spur of the moment quiches are now a family favourite and are on high rotation. You don’t need a lot of ingredients to make something super yummy, these only contain 6 ingredients and are amazing. The veggies mean you’re getting closer to the 5 a day target and the corn in them means they are really kid friendly. 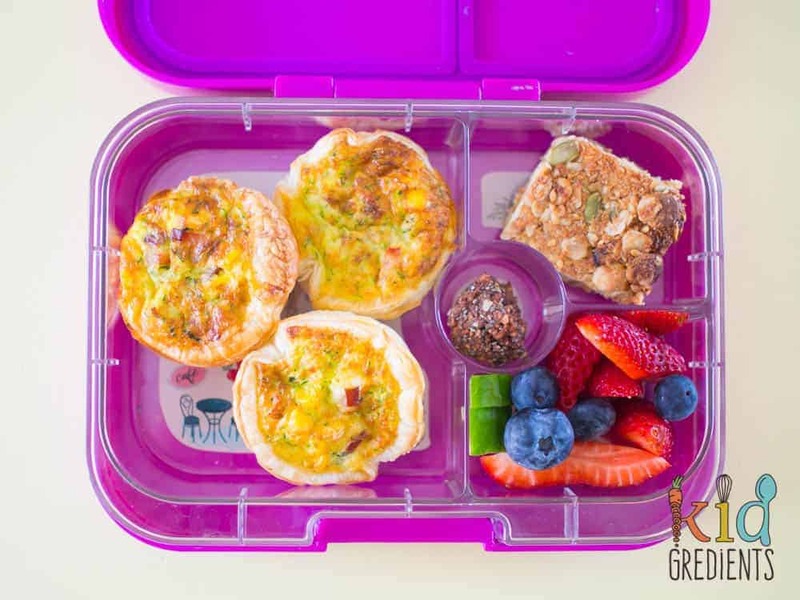 Looking for more yummy lunchbox ideas? Check out this post with 20 freezer friendly lunchbox ideas! Love this lunchbox? It’s a yumbox panino, you can check them out here (this is an affiliate link and I earn a commission if you purchase using my link). 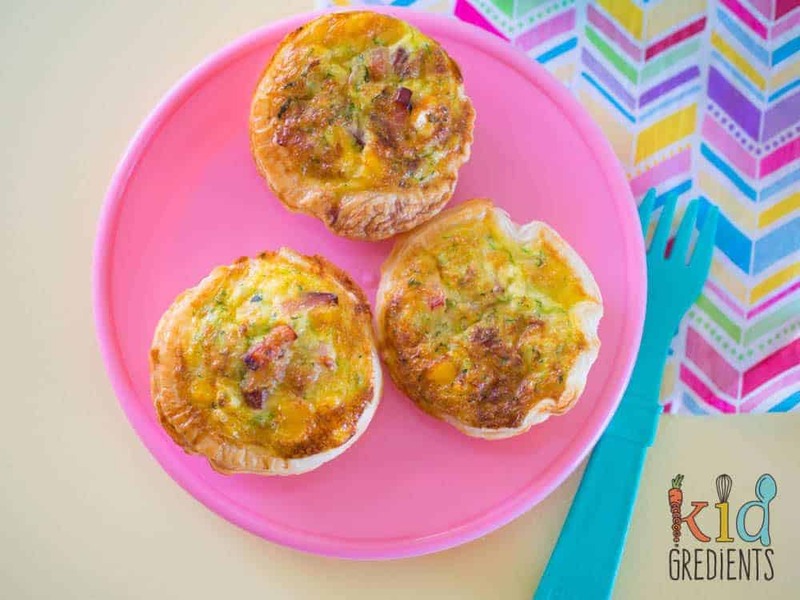 These lunchbox bacon and veggie quiches are going to be your most important lunchbox find for the year! Once your kids have tried them, they’ll be wanting them all the time, so it’s good to note that they are freezer friendly too. Just freeze once cooked on a tray and defrost in the lunchbox. 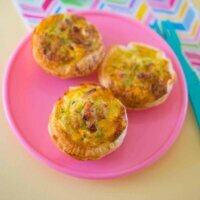 Lunchbox bacon and veggie quiches, perfect in the lunchbox and super easy to make! 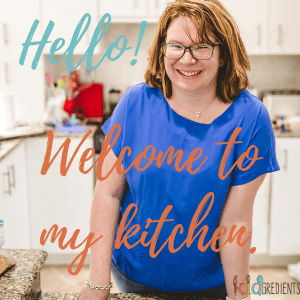 Yummy, kidfriendly and veggie packed! Preheat the oven to 200 degrees celsius (392F). Cut the pastry into circles and line a muffin pan with them. (Grease if using a metal one, or use a silicone one). Mix the eggs, cheese, zucchini, bacon and corn together. Bake at 200 degrees celsius (392 F) for 15-20 minutes. Cool in the muffin tray for 5 minutes, then transfer to a wire rack to continue to cool. Hi Tracey, I did mine big enough to go halfway up the muffin tins!